A New Private House on the Welsh Border. This dwelling alludes to the curved roofs and timber cladding associated with rural and agricultural buildings in the locality. 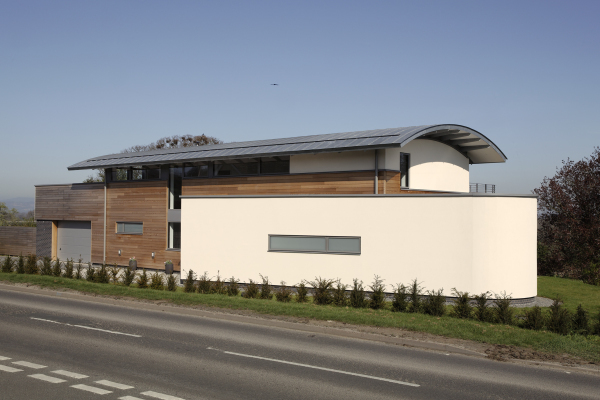 The ambition was to create a modern building in a rural setting. 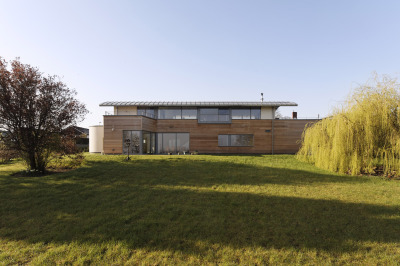 A building sympathetic to its rural context with a distinct contemporary quality. The overall form is gently articulated. 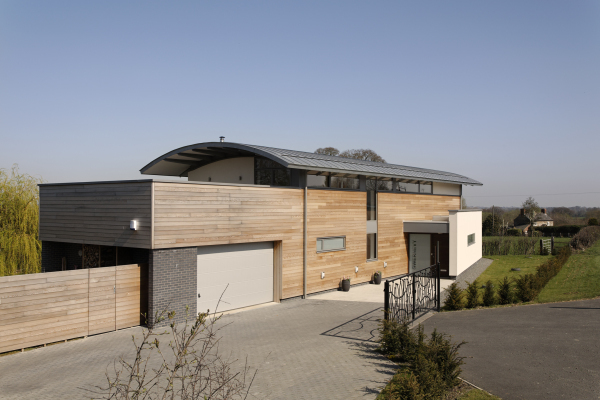 A timber ‘plinth’ sits beneath a ‘floating’ curved roof. 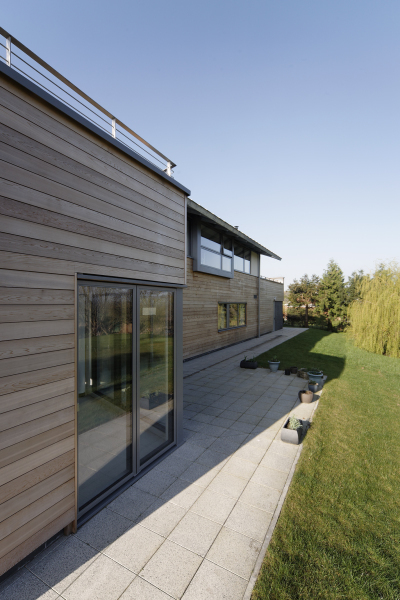 The rendered curved form slides from the main body of the house to present the main entrance. 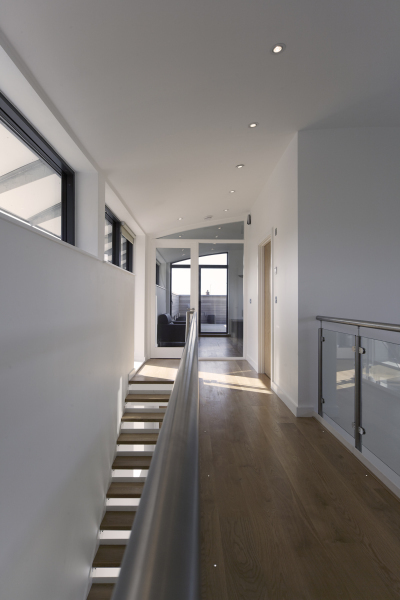 A balcony slides out from the house to the north and a roof terrace extends the first floor living space to the west to take advantage of the exceptional views. 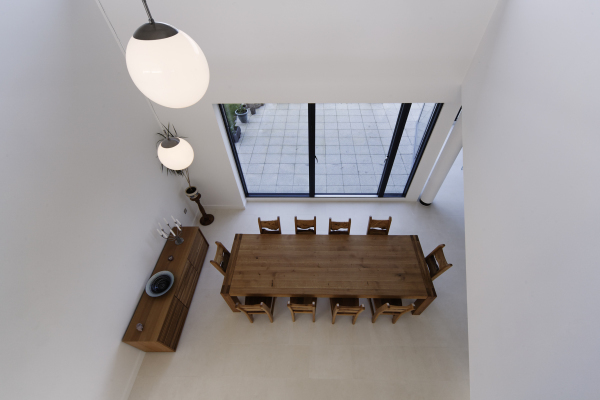 The house was designed with a highly insulated timber frame, with underfloor heating generated via a ground source heat pump. 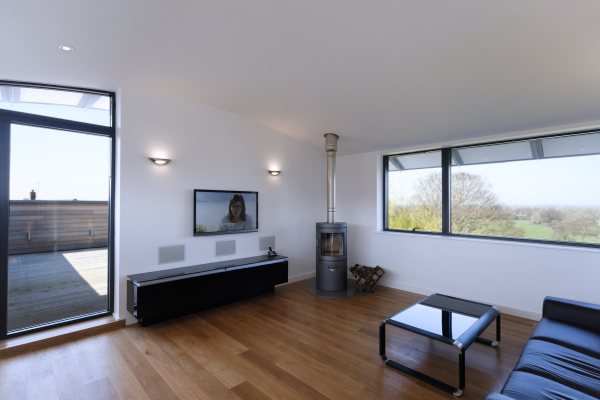 The dwelling received a Civic Trust Regional Award in 2013 and the Powys Building Excellence Award for a Single Dwelling in 2012. 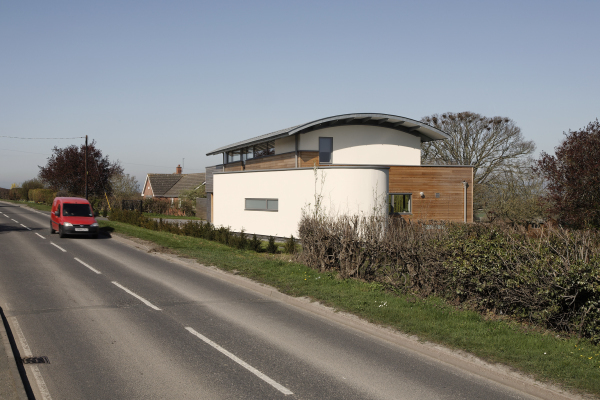 "A striking and ambitious building for a rural village."